It is a rather fortuitous coincidence that my 500th review on Savidge Reads should be a Nancy Mitford, it seems somehow wholly appropriate that it should be the case. 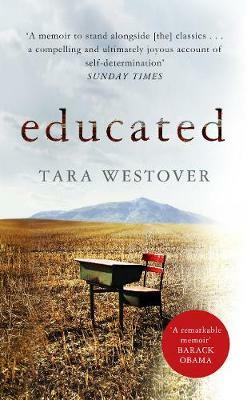 I can’t quite believe it is 500 reviews on here to be honest, especially as that means I must have read more since the blog started as not every book I read ends up here. It feels like a nice milestone for me regardless and one that is all the more delightful when sharing with you some festive Mitford joy which is just what ‘Christmas Pudding’ was, I don’t normally like Christmas Pudding (I would rather just have a bowl of brandy butter by itself thank you) yet I happily devoured this during Christmas Day. 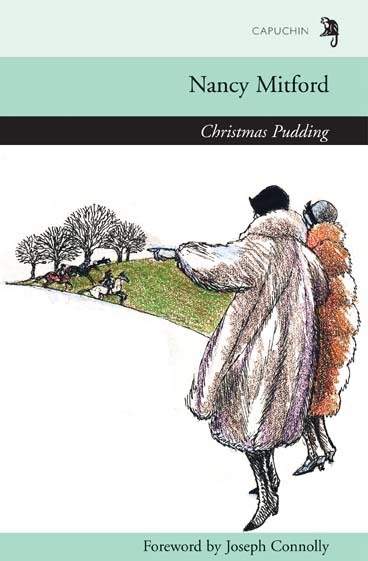 It’s very difficult to try and surmise the comedy of errors of the Bright Young Things of the 1920’s and 30’s that is Nancy Mitford’s ‘Christmas Pudding’ because it as so many different strands to it, but here goes. Paul Fotheringay has written a novel which has not been received by reviewers as he would like, people love it, yet they think it is a highly melodramatic but accomplished farce. In fact it was meant to be a heartbreaking hit based on the bitterness of life and genius that the author believes he has. He has decided that his next work will be a biography of the Victorian poet Lady Maria Bobbins, yet after this is denied he goes undercover thanks to his friend Amabelle’s connections with Bobby Bobbins, Maria’s grandson and here meets her granddaughter Philadelphia and of course becomes smitten. Amabelle herself has decided to move to the Cotswolds for Christmas, becoming a neighbour of the Bobbins grand house, for a bit of novelty (though she initially finds Mulberrie Farm more novelty than nightmare) and so soon they all become embroiled especially after the arrival of Lord Lewes who was in head over heels in love with Amabelle before soon becoming a suitor for Philadelphia too… only a much more likely candidate in the eyes of society and Lady Bobbins herself. If it sounds like I have given too much away I honestly haven’t because throughout all this there are several other strands, characters and twists to will keep the reader entertained throughout. In fact my one criticism, should I be being rather more lit-crit like, would be that occasionally there are rather too many characters and Bright Young Things (which Mitford seems to give a knowing wink to with names like Bunch, Squibby and Biggy) going on all at once which occasionally takes away from the main events. Stuff being lit-crit like though as like I mentioned this book is designed to be fun and entertaining and indeed it is in abundance. Nancy Mitford is a genius for writing the caricature and ‘Christmas Pudding’, like all her later works (I haven’t read her debut novel ‘Highland Fling’ this novels predecessor), has these falling out of every page. It is when she takes a stab at the circles and people that she knows that she is at her most frightfully funny, and indeed her sisters said whilst writing this she was often laughing. Whilst I didn’t laugh out loud I was smiling as I read every page as each one contains at least one sentence, saying or small happening which will induce the corners of your mouth to twitch. Yet it seems that Nancy also knows that in moments of humour you can get away with some of the most honest observations or thoughts of all and I felt, though some may disagree, that really this novel looks at love be it true or forced because of money. True love it seems was something Nancy was certainly looking for and yet was something which she didn’t believe happened very often. There is only one couple, Sally and Walter, who seems to be a match made from true love and yet they never seem quite truly happy, just happier than most. It’s an interesting insight into the minds of ‘society’ at the time and behind the jokes and farce is certainly something more just cloaked in a certain amount of comedy. I really enjoyed ‘Christmas Pudding’ (which could be read at any time of the year as apart from a few festive parties it isn’t quite as Christmassy as you would think from the title) and whilst it isn’t the best of Nancy’s work it’s ‘jolly good’ and in the busyness and mayhem of these caricature creatures there shows the signs of all that is yet to come. I also really admired, and was rather pleasantly surprised by, the fact that Nancy didn’t give us the ending we thought we might be getting, very good. I would heartily recommend more people read this lesser known Nancy novel if you need a lift of spirits and want to get lost in the world of those Bright Young Things. Which Christmas themed books have you read over the festive period? Have you read any of Nancy’s other lesser known novels? What books set in the 20’s and 30’s have you read and found to be ‘jolly good’? I definitely want to read more from, or set, in that period so would love your recommendations, and you could win something special as part of my 500th review celebrations, though I am almost give-awayed out, ha.